We are participating at the Yoga Journal Live event in NYC! 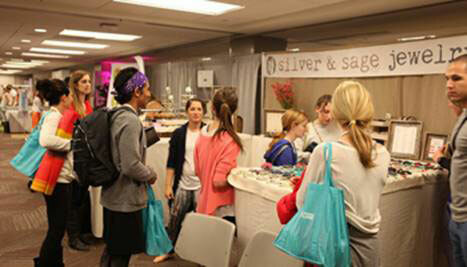 The Yoga Market place showcases products & services for wholesome, balanced living. At the Yoga market, partners and vendors feature yoga apparel & accessories, jewelry, nutrition, natural health & beauty, local studios & retreats, and much more. This is the Sangha Space is a place for community to gather together. Enjoy music here, join in a community class, happy hours and so much more.